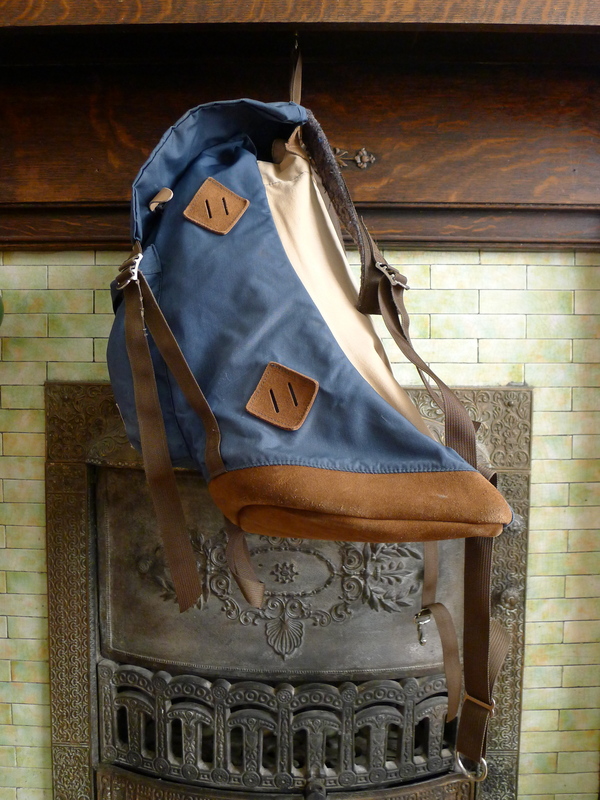 A true early-mid 1970s mountaineering boot. 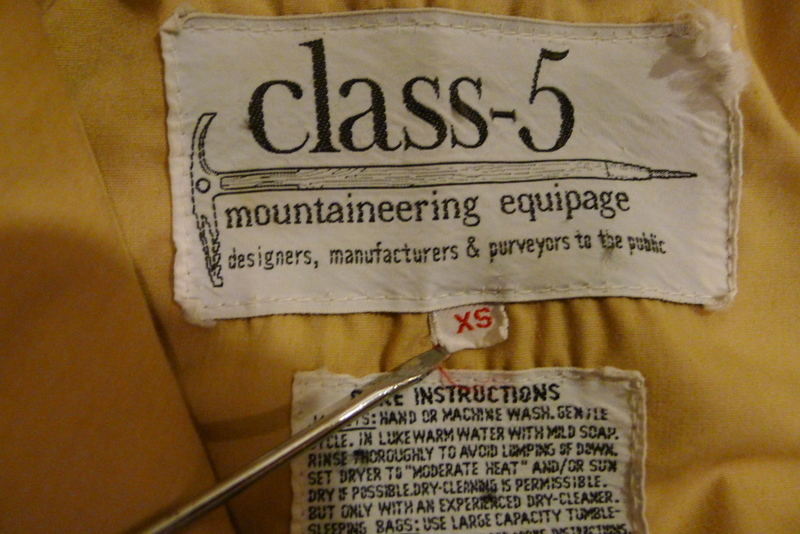 This Kastinger has a couple unique construction attributes. 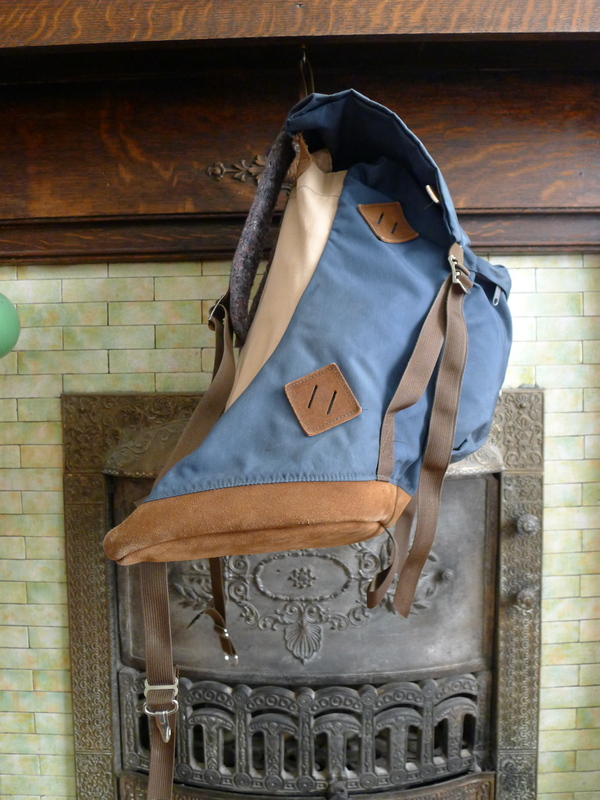 The hinged heel allows for the boot to flex without stressing putting undue stress on the boot or the wearer. 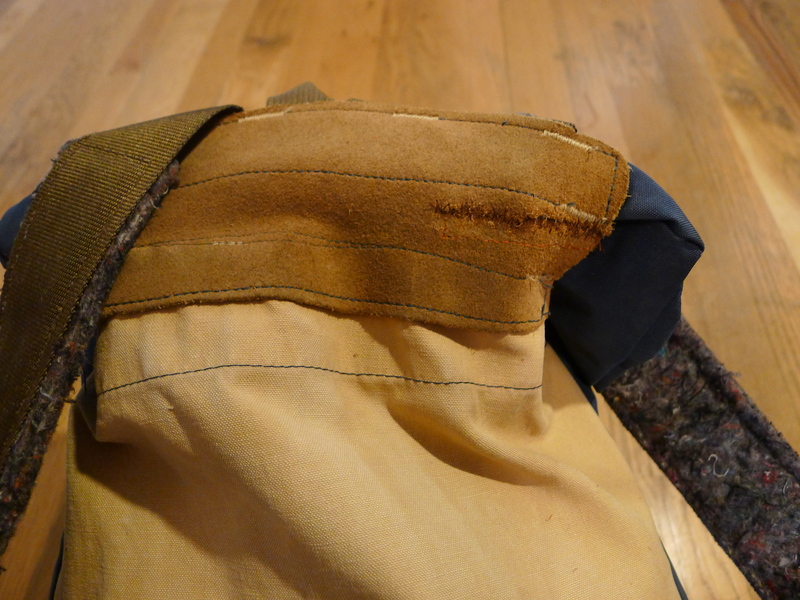 Second feature that makes this boot both special and revolutionary is the stitchless injection-molded welt, which is quite a departure from the Norwegian and Goodyear welts most boots of this era used. 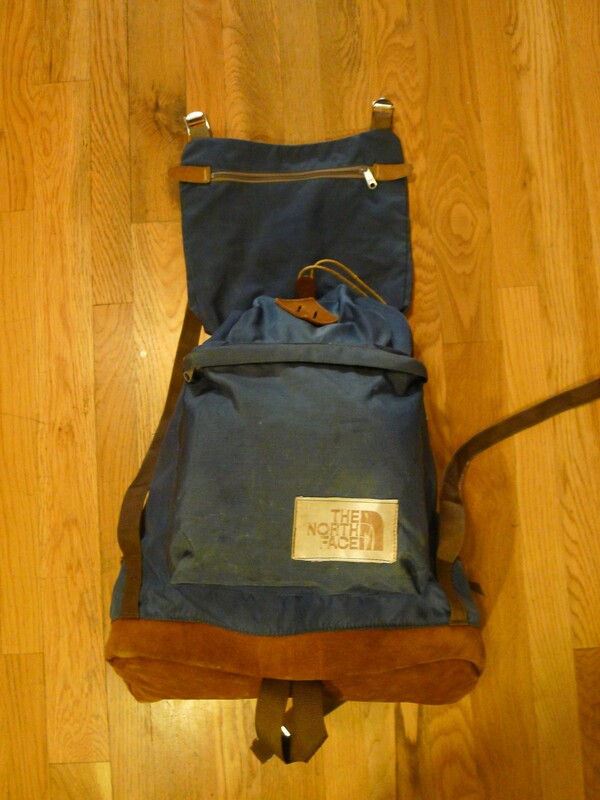 The gaiters seen here are a similar era (maybe a little later) The North Face nylon blend model. 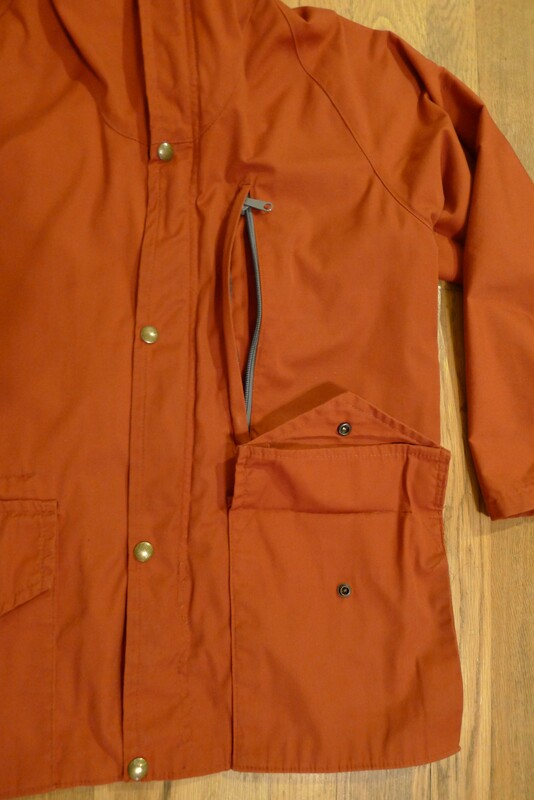 Nice example of a later first generation puffer jacket. 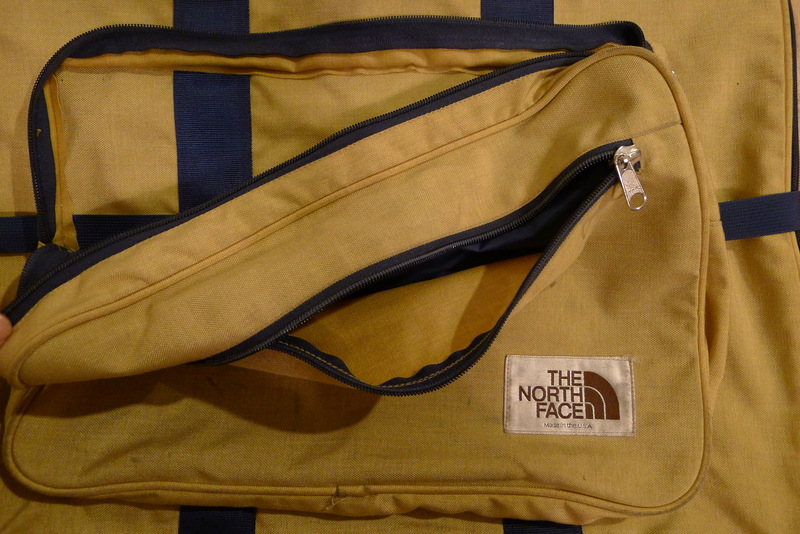 This piece was manufactured in the mid 1980s near the end of this iconic style’s run. 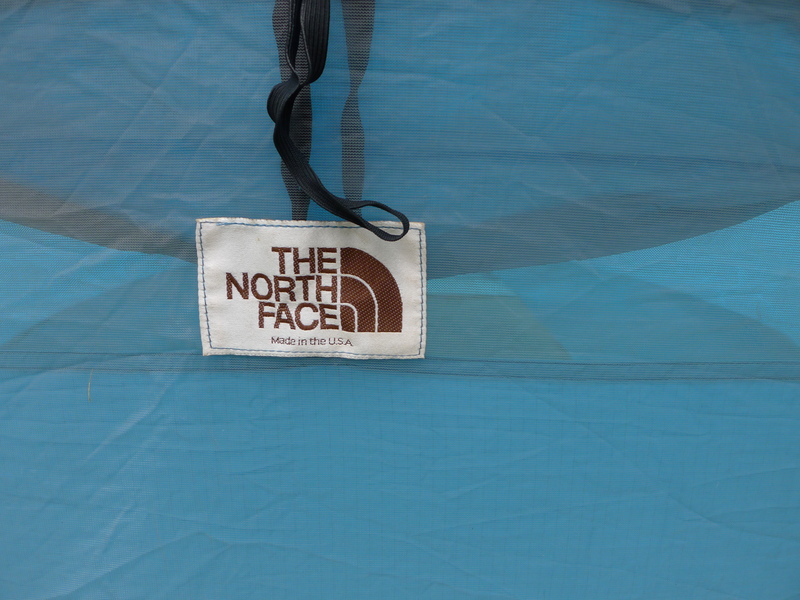 Some of the giveaways as to its more recent age are the embossed buttons, TNF branded zipper pull and materials tag. 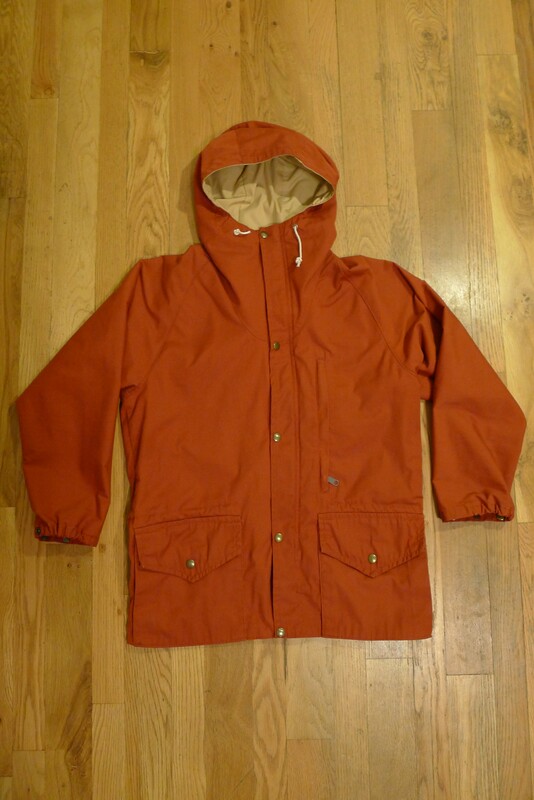 Earlier versions of this jacket were made of rip stop nylon inside and out as opposed to the 65/35 poly cotton shell seen here. 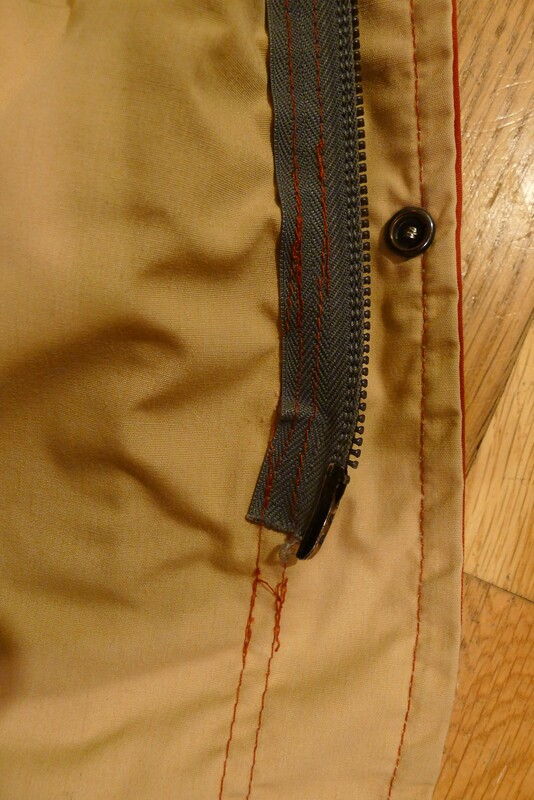 Construction also included what I refer to as stitched rivets at stress points such as pocket openings. 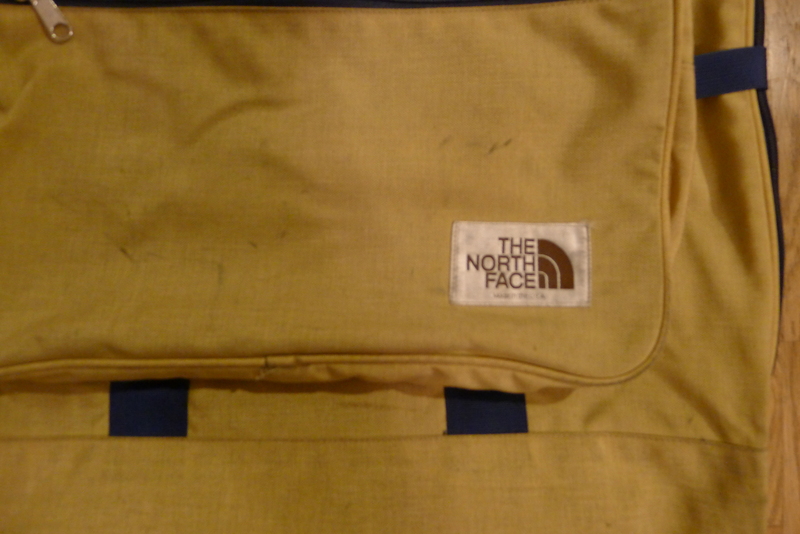 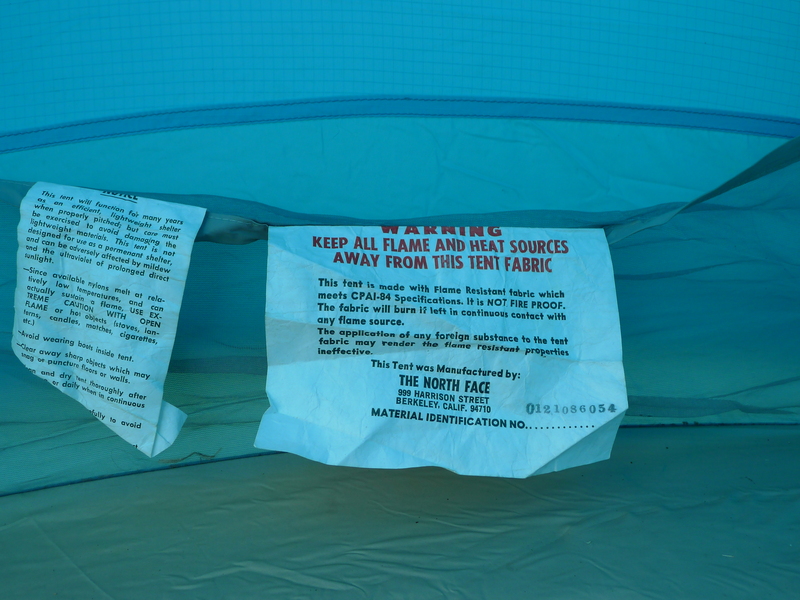 The earliest down jackets from The North Face (and brown label equipment in general) were all made in the USA, but the label didn’t start reflecting that until the late 70s when a shift in manufacturing started to take hold. 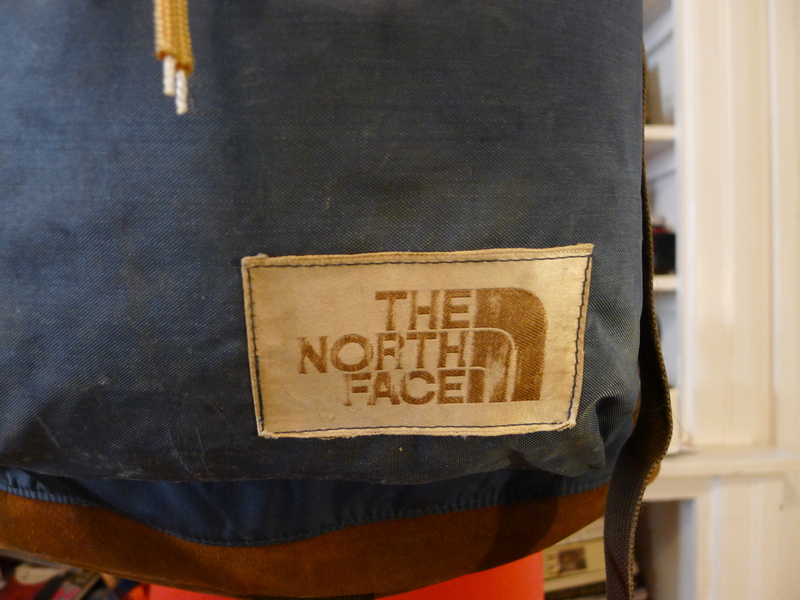 It wasn’t until people started to question where their items were made that it became part of the strategy to include ‘Made in the USA’ in the branding. 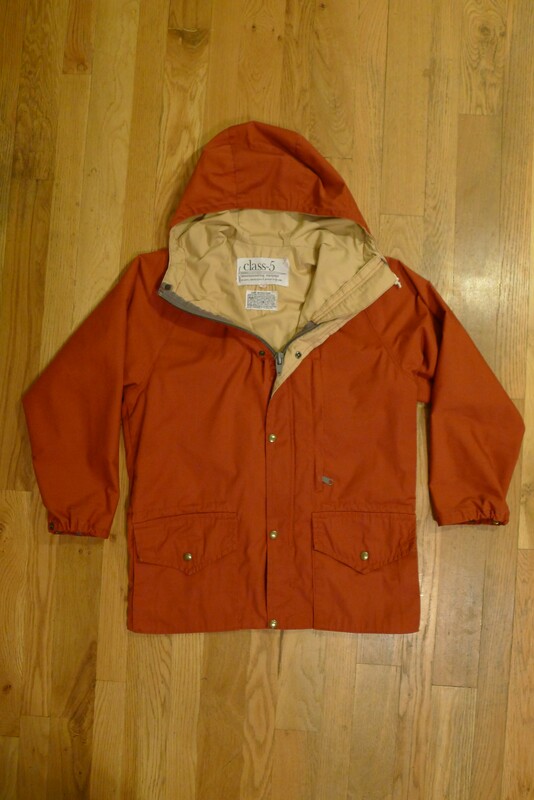 This vintage Class-5 parka done in rust features classic styling comprised of materials and craftsman ship that was top of the line in its day. 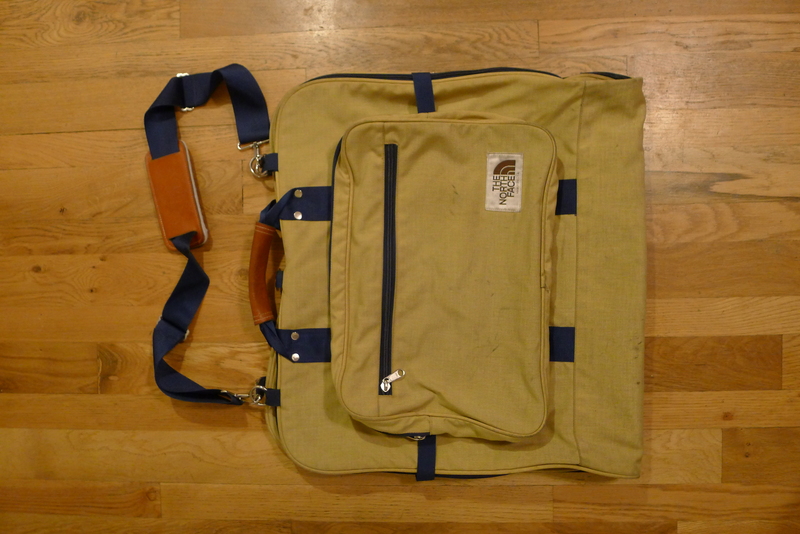 It has clean lines that were innovative for the time. 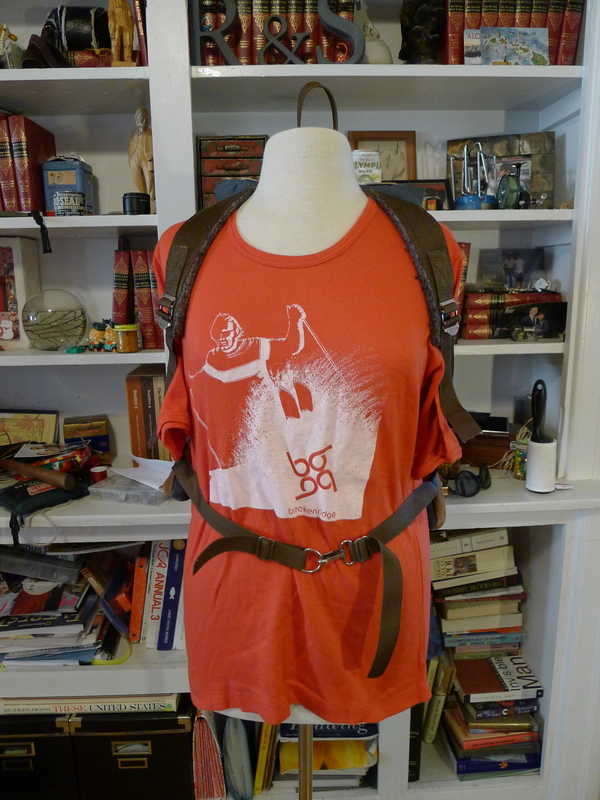 Cotton blend throughout, most likely 65/35 polyester cotton or similar (no materials tag). 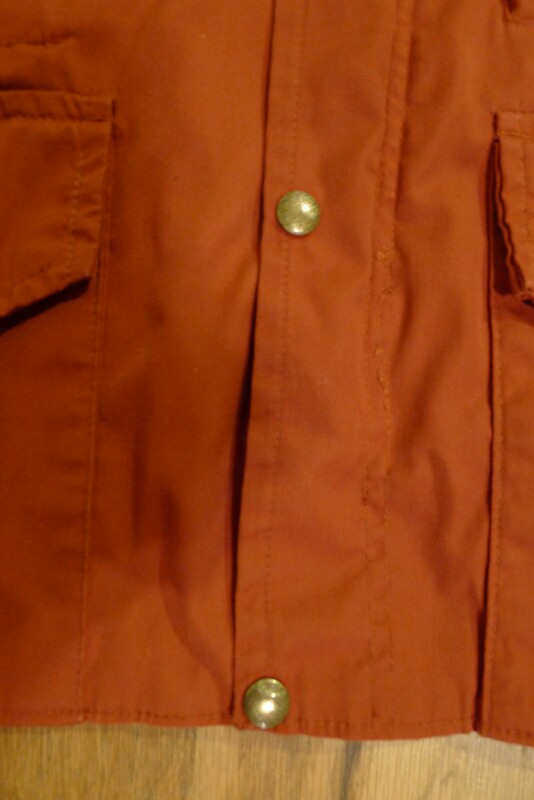 Double layer lined in khaki through out. 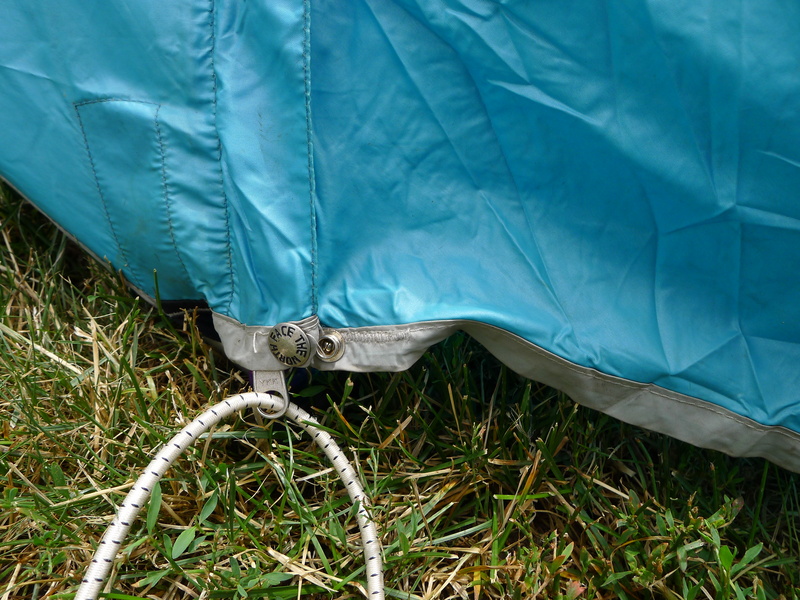 3 piece hood nylon draw cord. 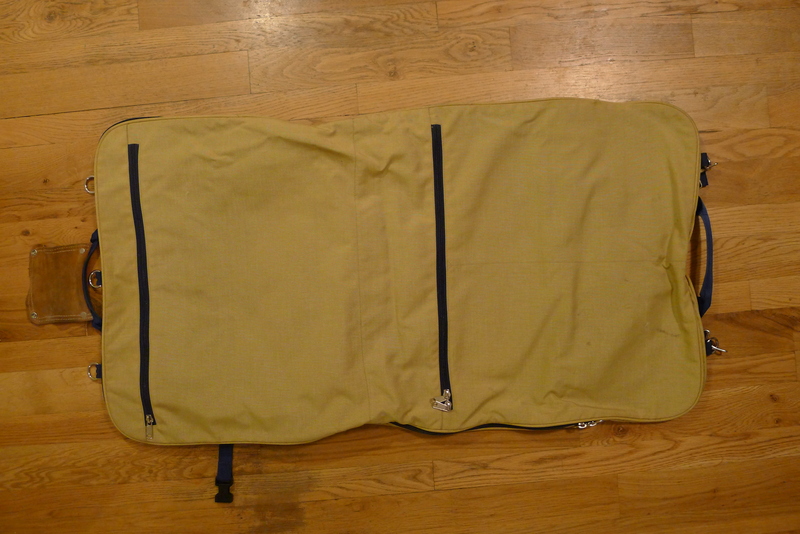 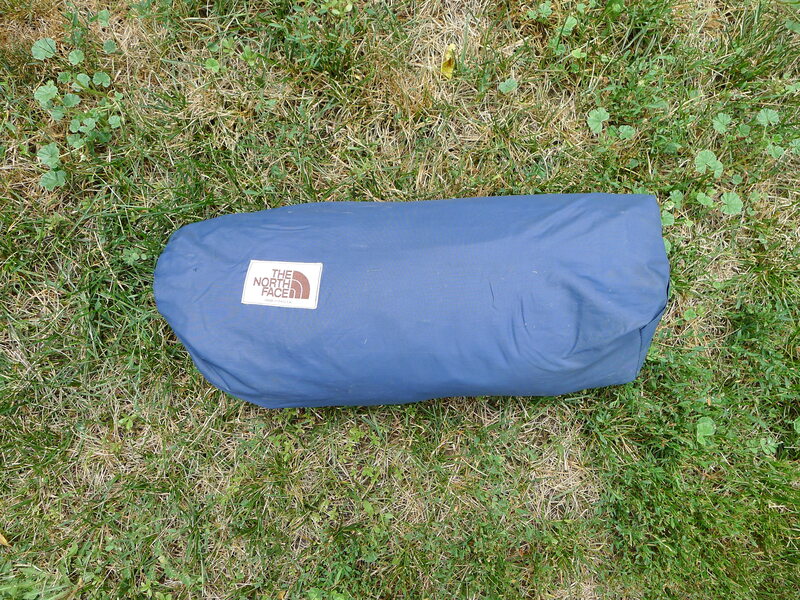 Two-way heavy gauge YKK sleeping bag zipper and snap front closure. 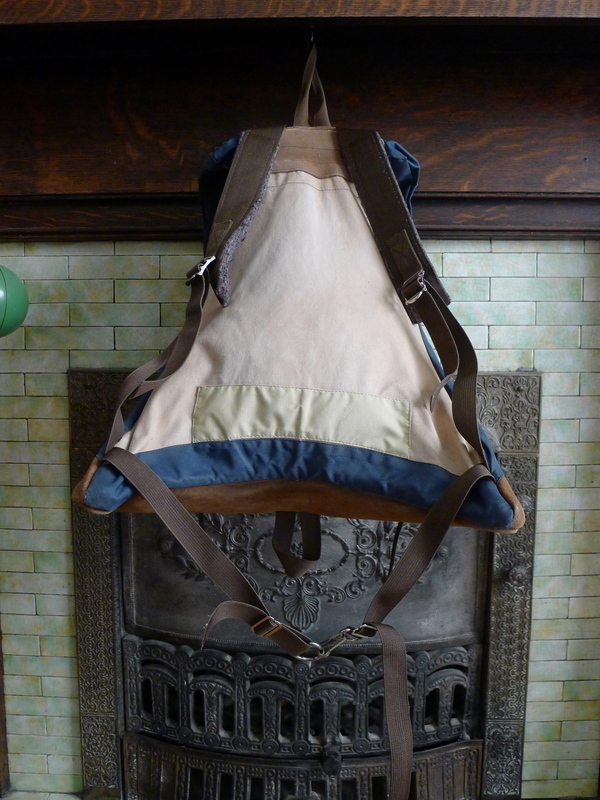 Drawstring waist cinch and two snap adjustable cuff. 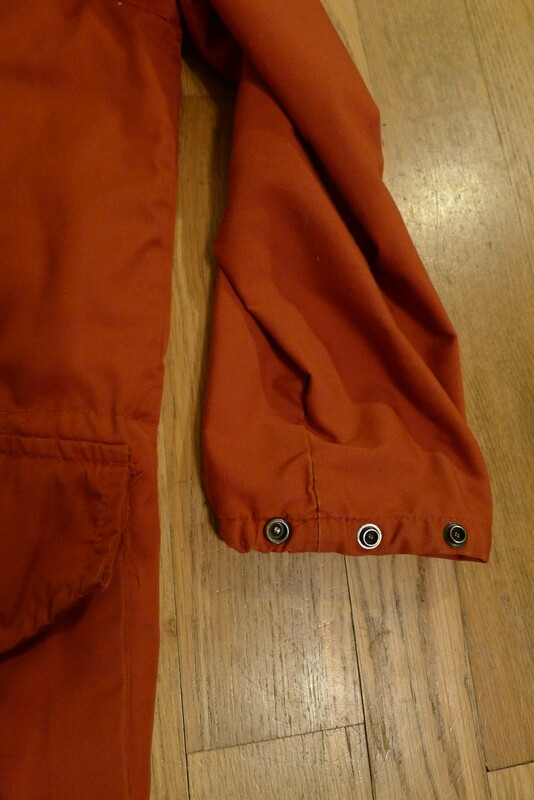 Two top and side entry hip pockets. 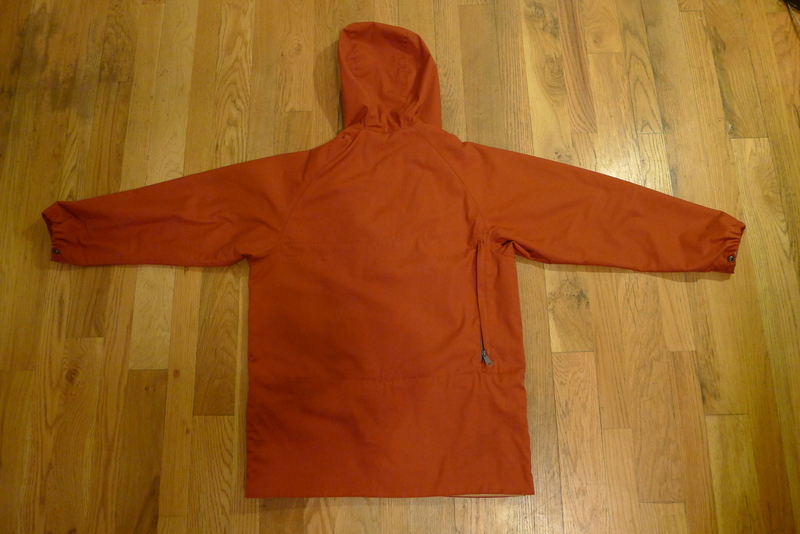 Left breast zippered pocket. 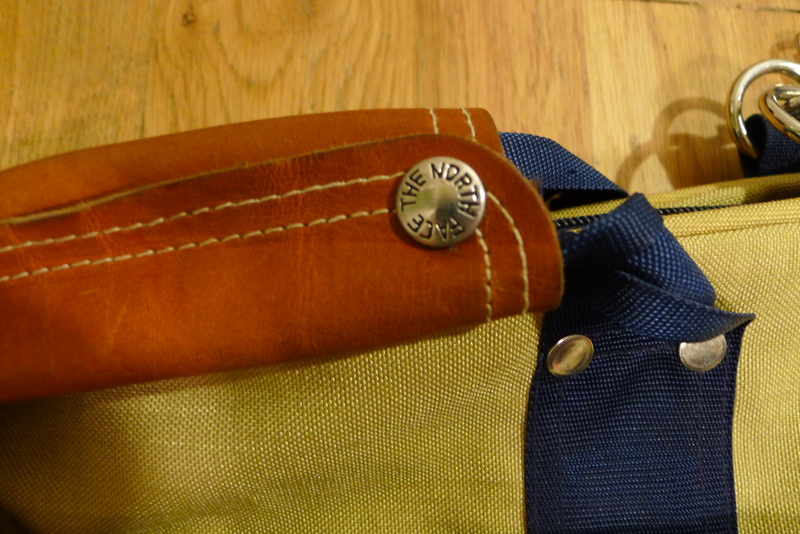 Also, one zippered back pocket. 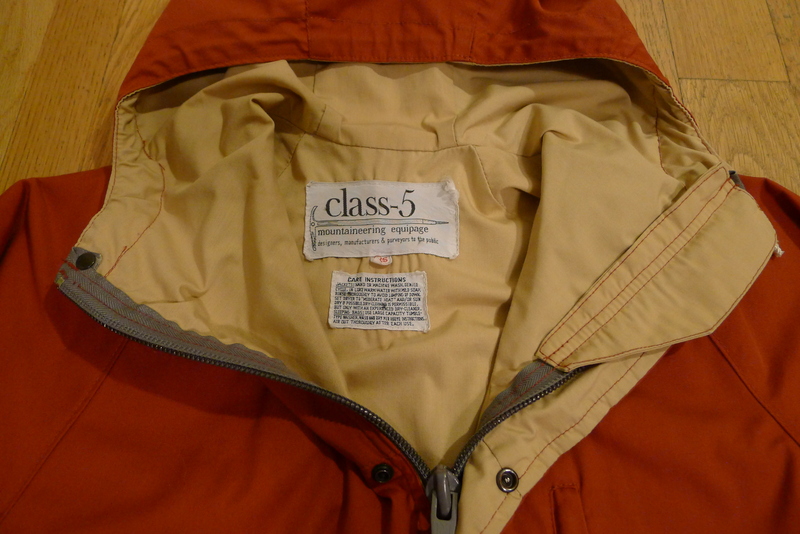 Class-5 the self-proclaimed Standard of The World was is California-based outdoor gear company founded in the early 70s by Justus Bauschinger a designer for Trailwise and The North Face. 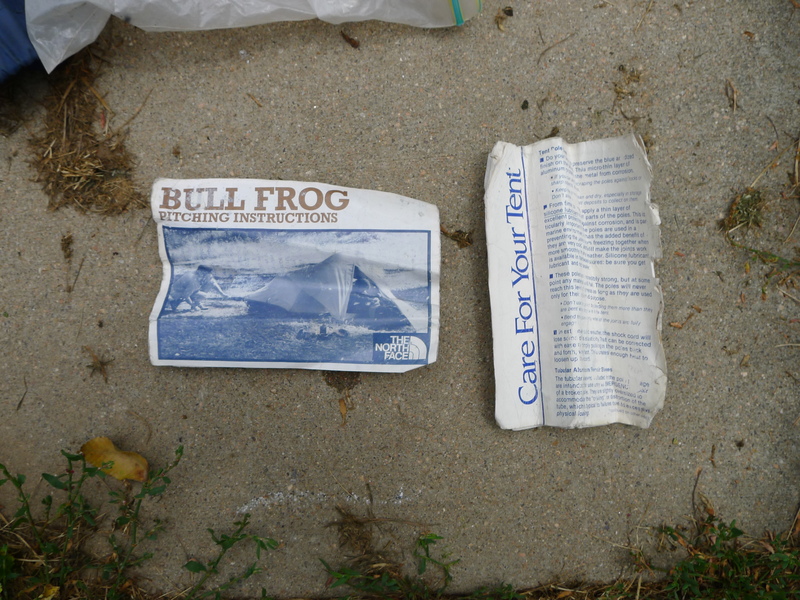 The company was known for their innovative designs and marketing. 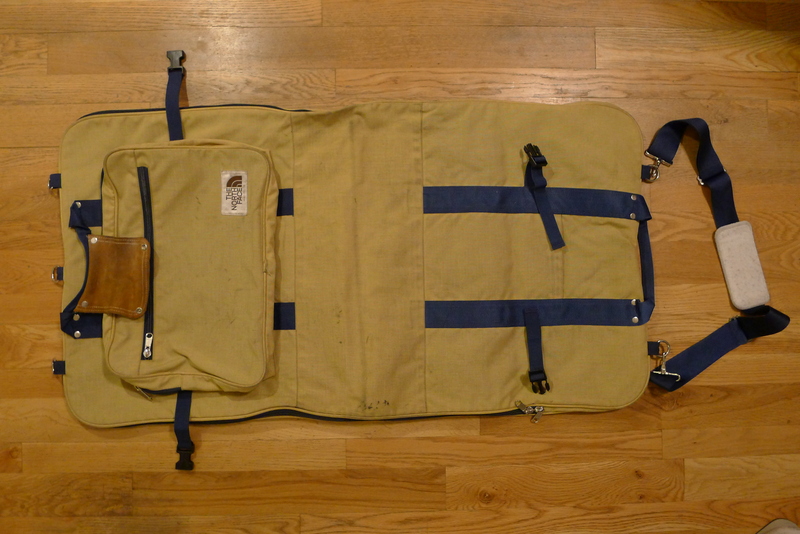 Travel in style with this early 80s TNF garment bag. 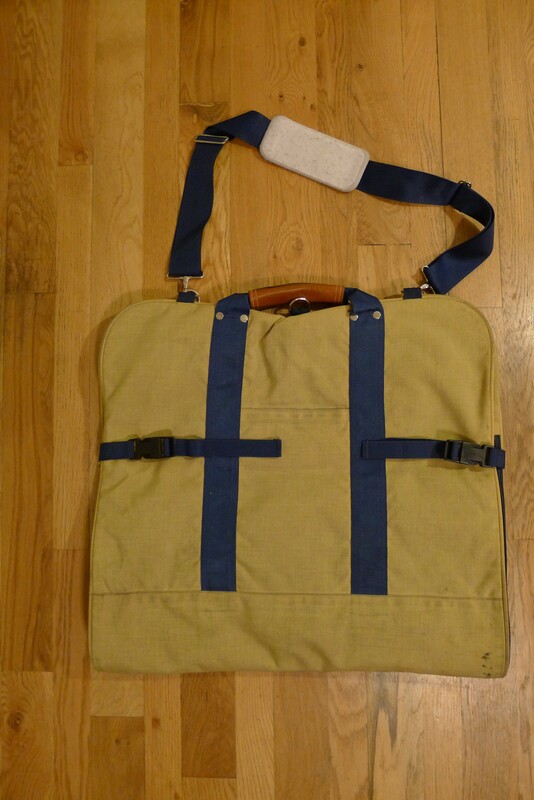 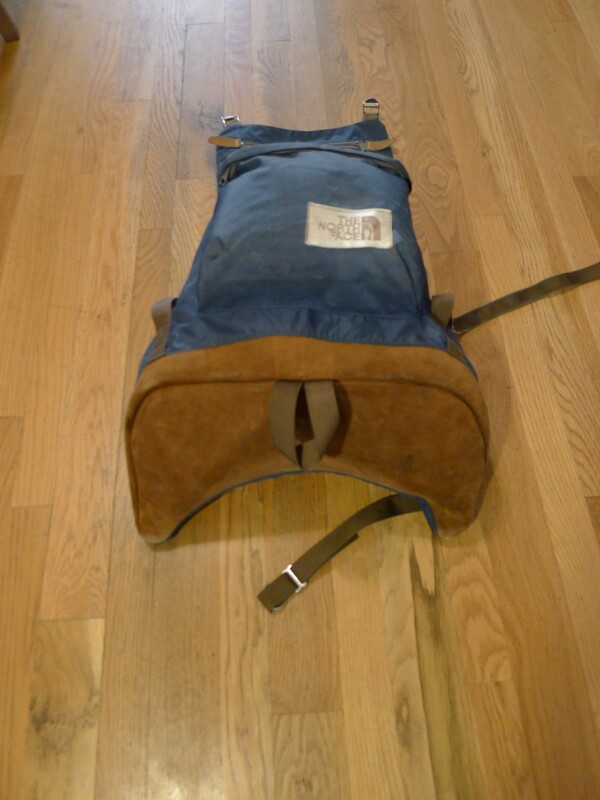 This khaki and navy Cordura and Nylon bag is in good shape and ready to go. 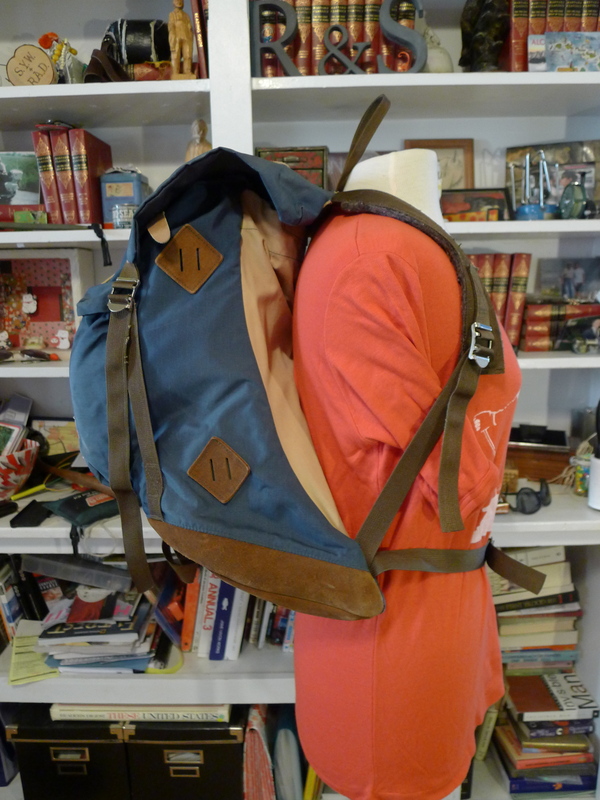 Folded it measures 22″ wide by 20″ high and can be carried using a the soft leather hand strap or nylon shoulder strap. 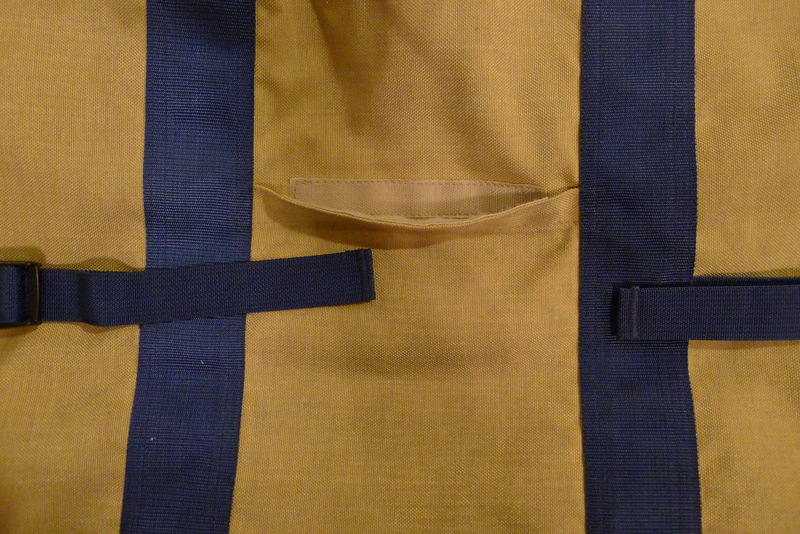 Front pocket containing the label zips at top and has front facing zip pocket as well. 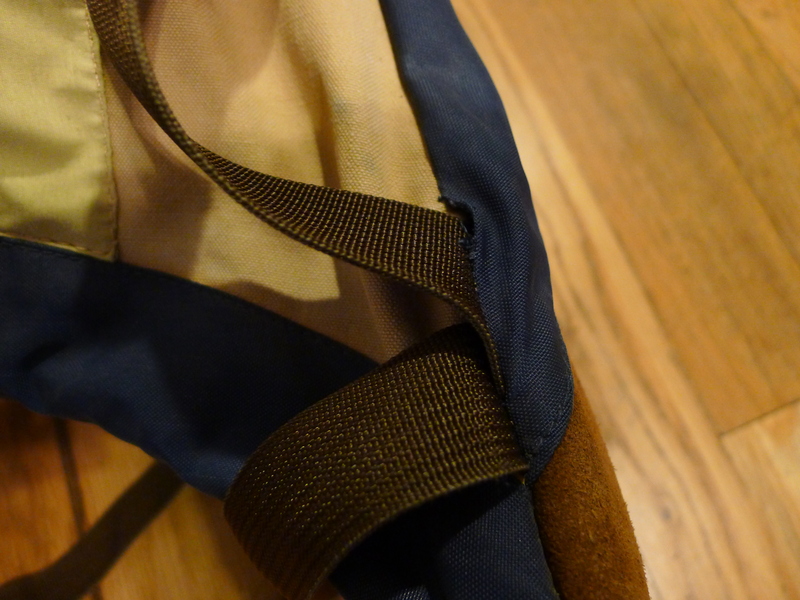 On the back side there is a small map pocket with Velcro access between the nylon webbing. 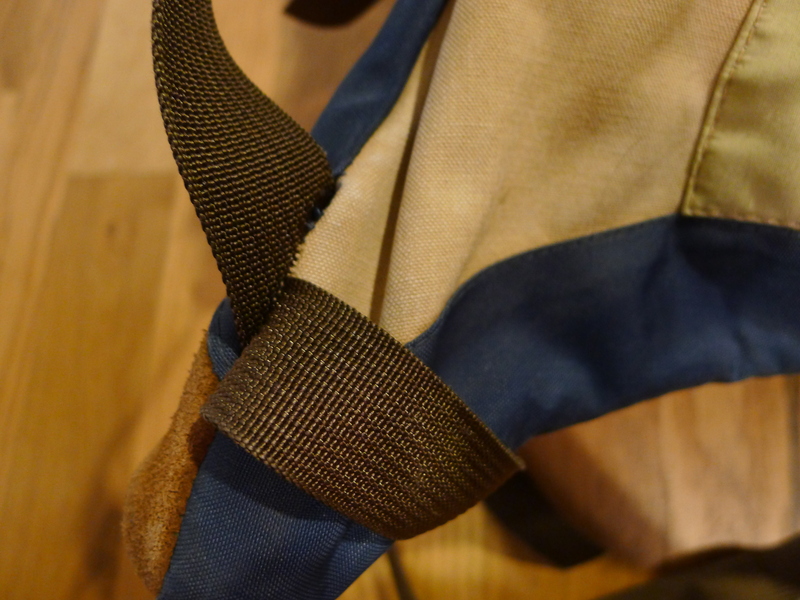 Buckled compression straps on either side keep the bag together when folded. 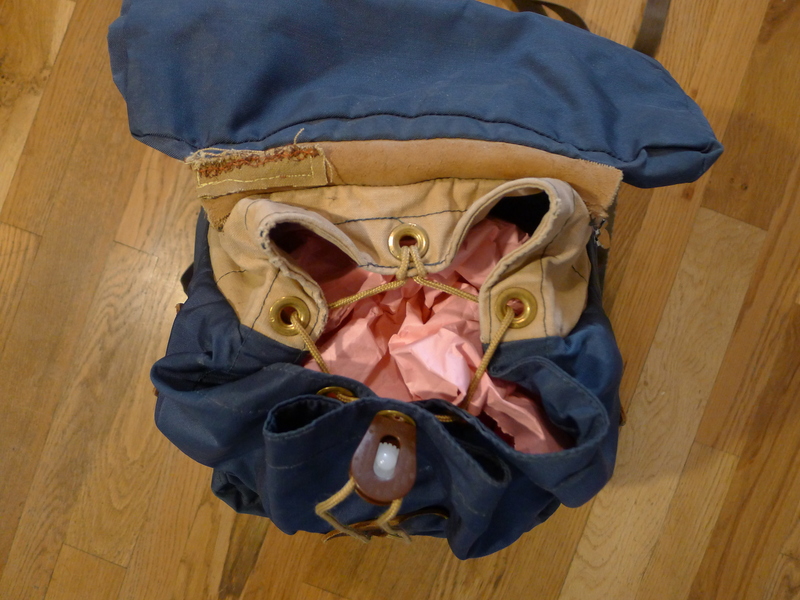 Open the bag measures 40″ high. 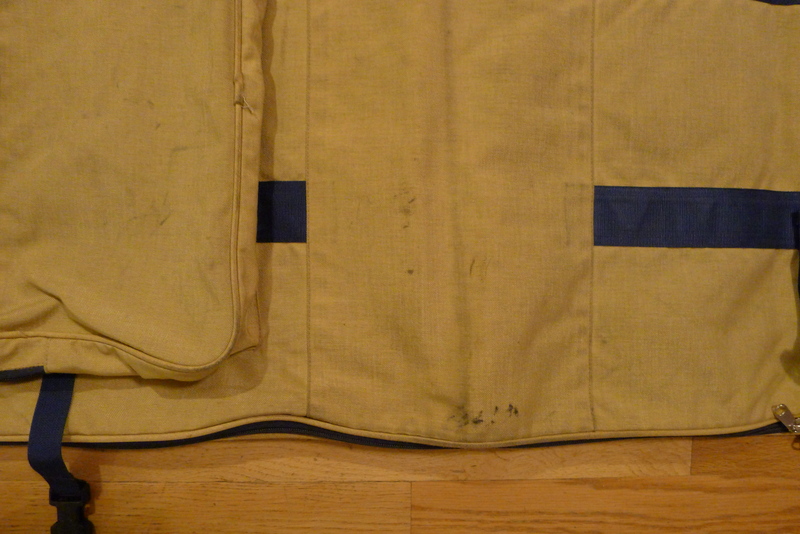 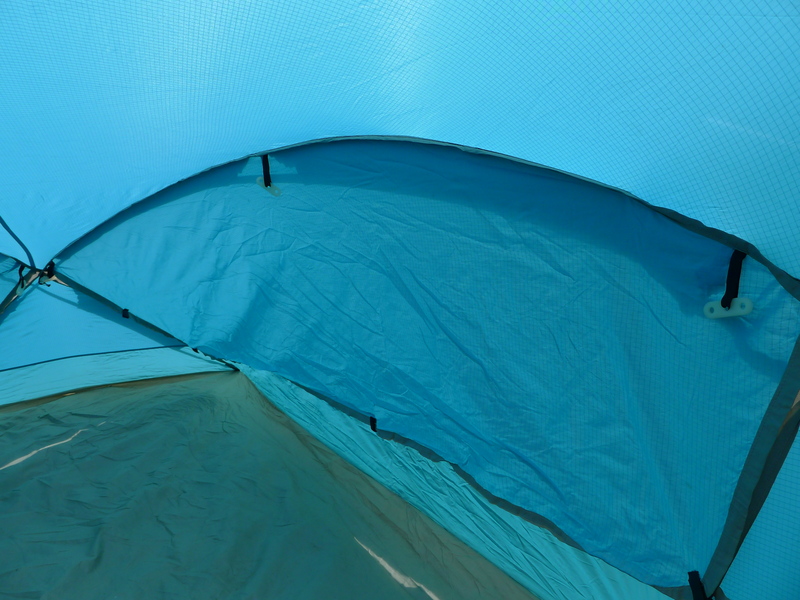 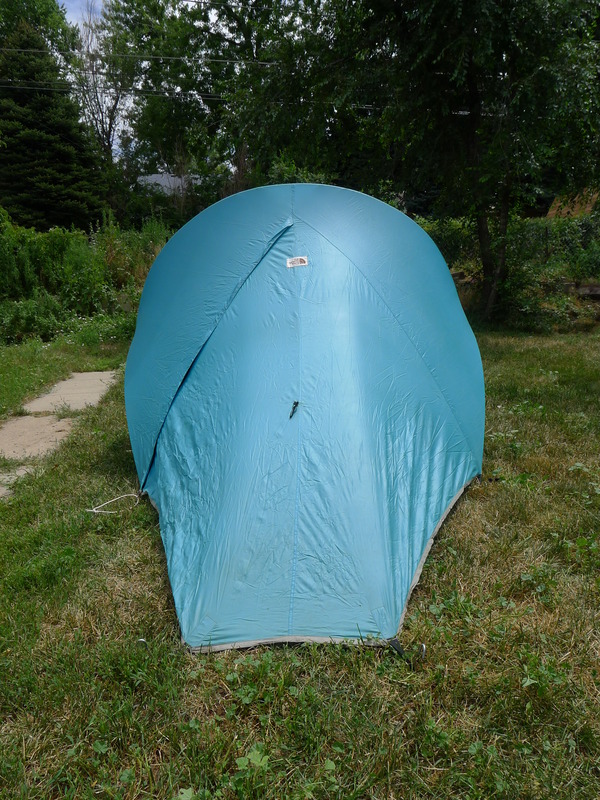 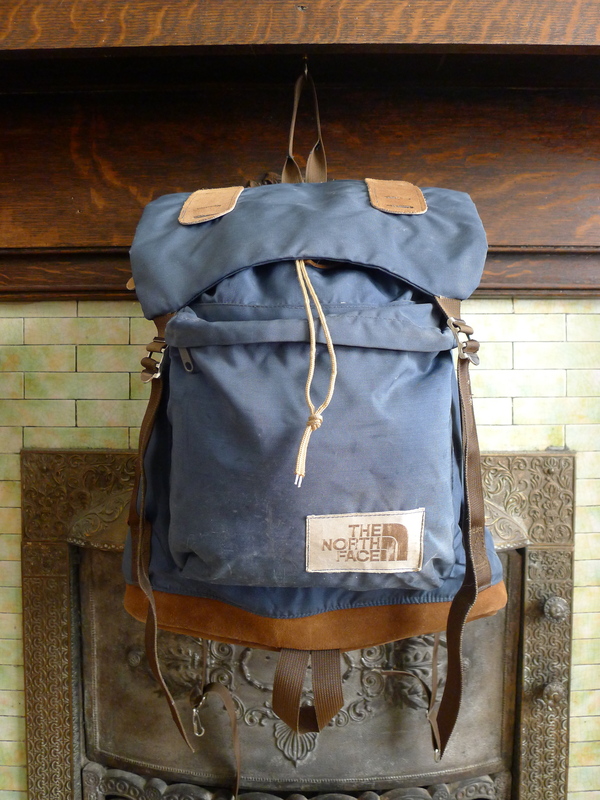 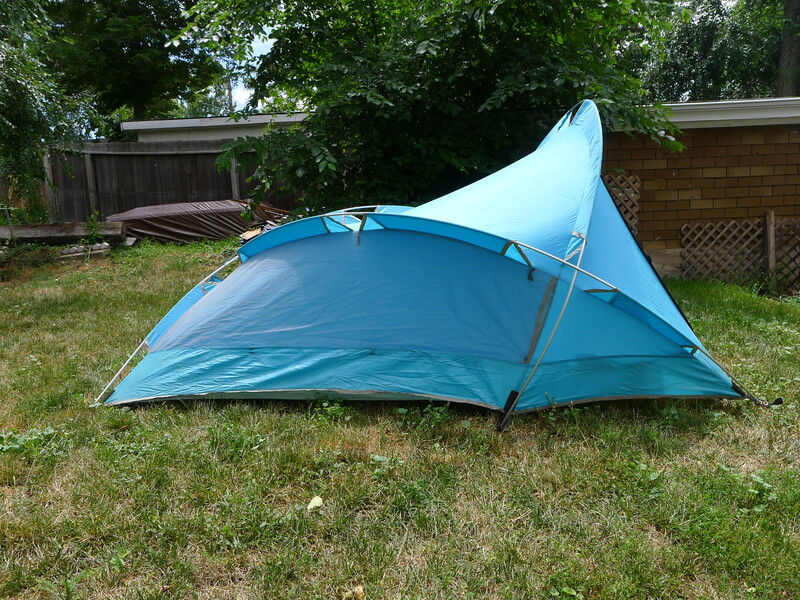 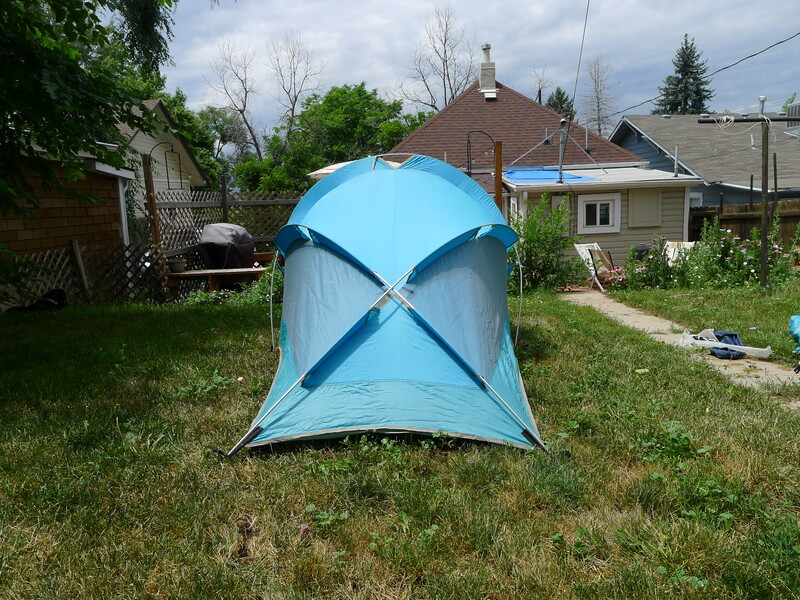 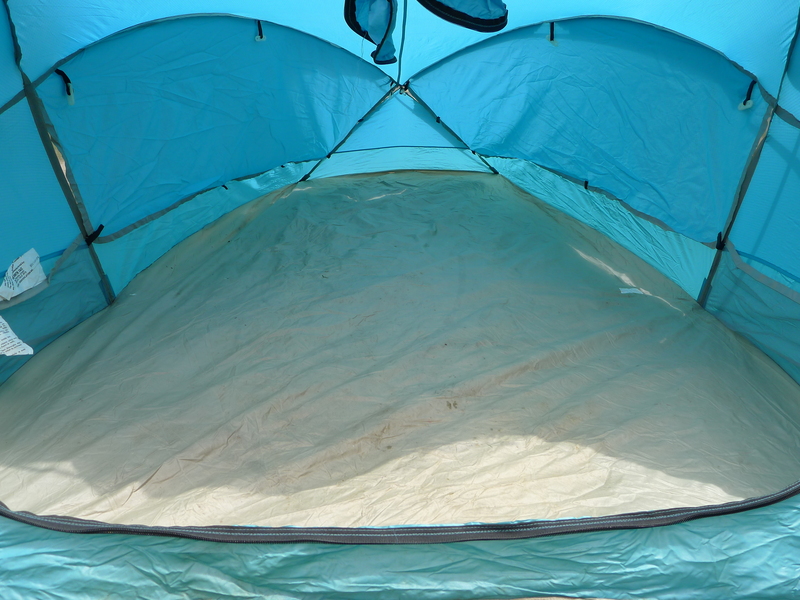 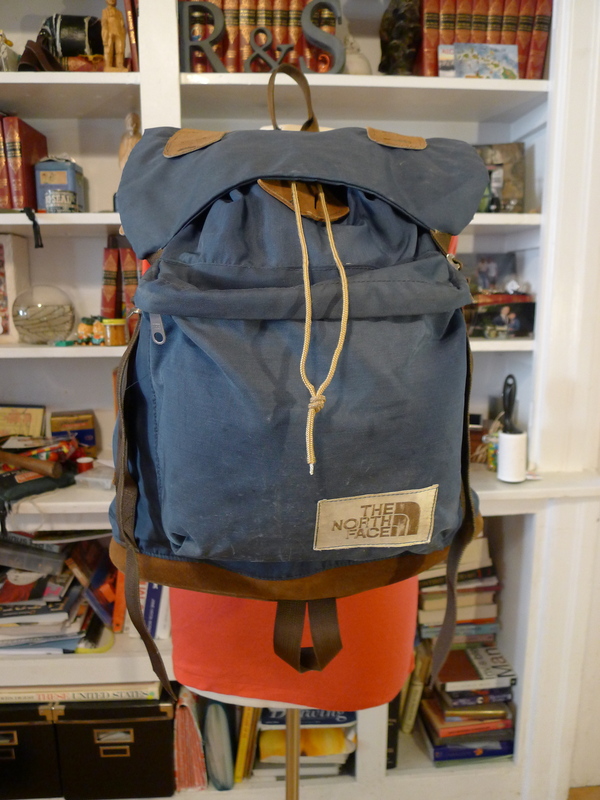 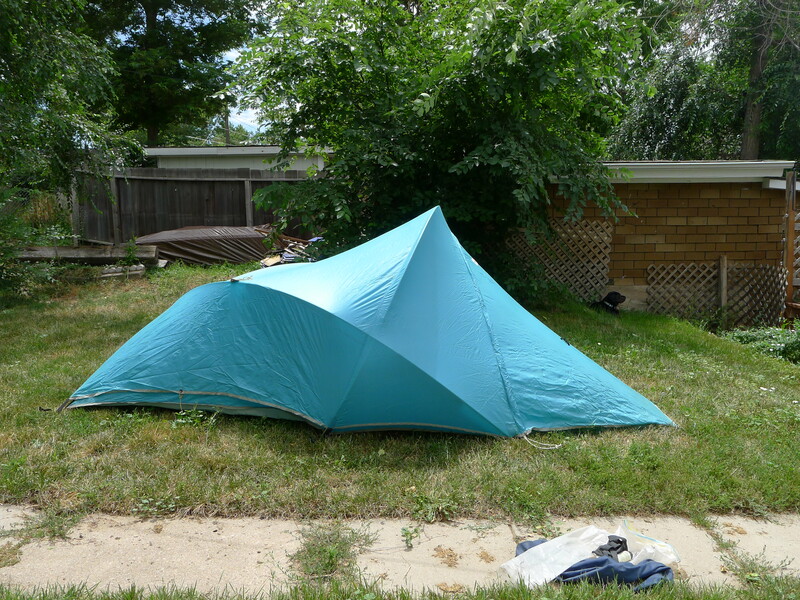 there are two pockets on the inside, the top measures about 22″ x 20″. 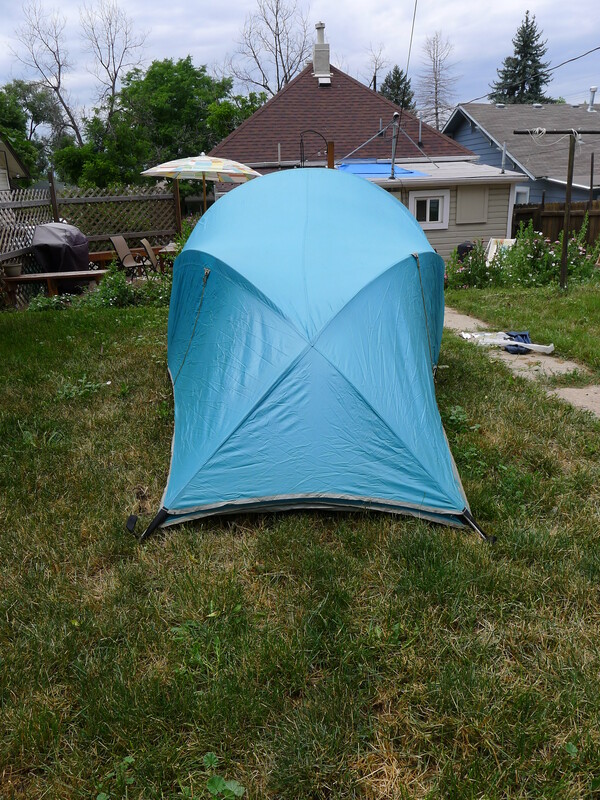 The bottom is roughly the same size but is partitioned in down the middle. 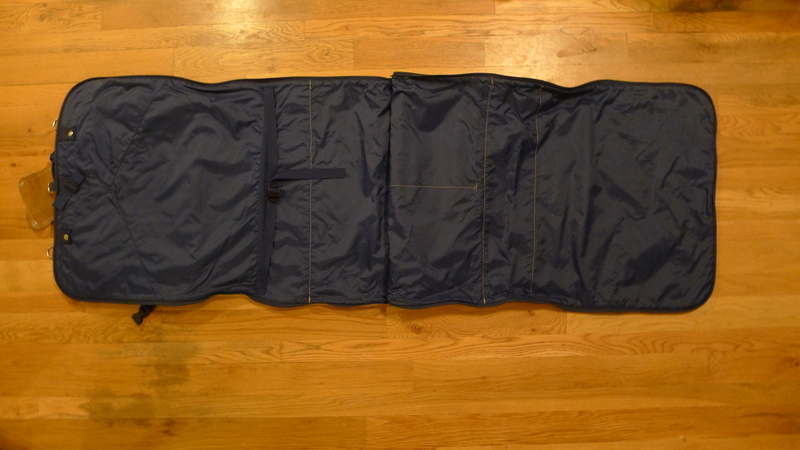 The inner Cordura layer zips 3/4 the way around to reveal the nylon inside measuring 22″x40″. 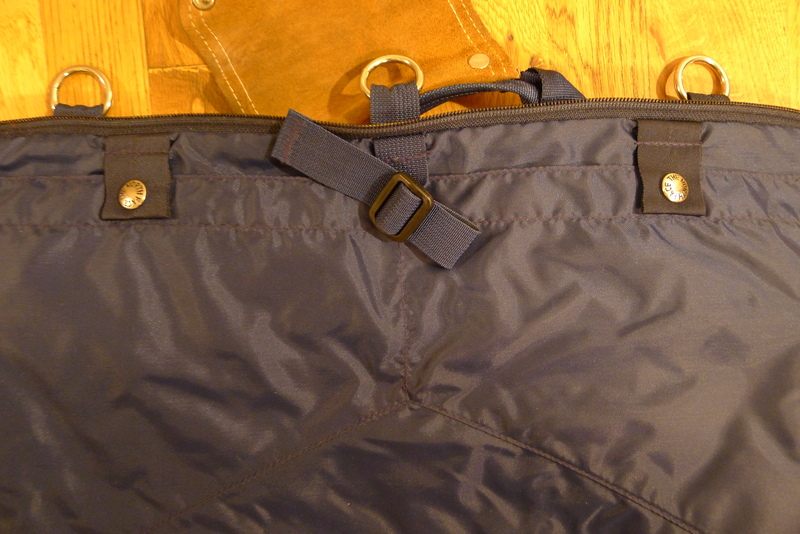 There is a nylon belt across the center to secure garments. 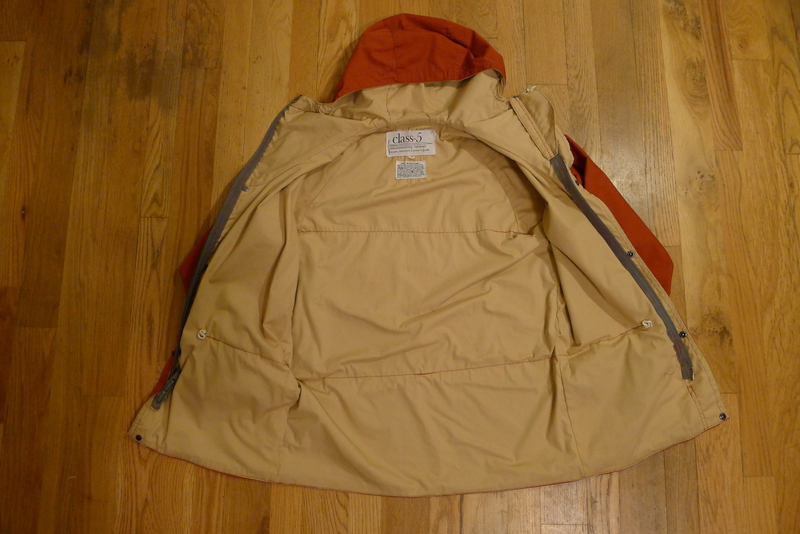 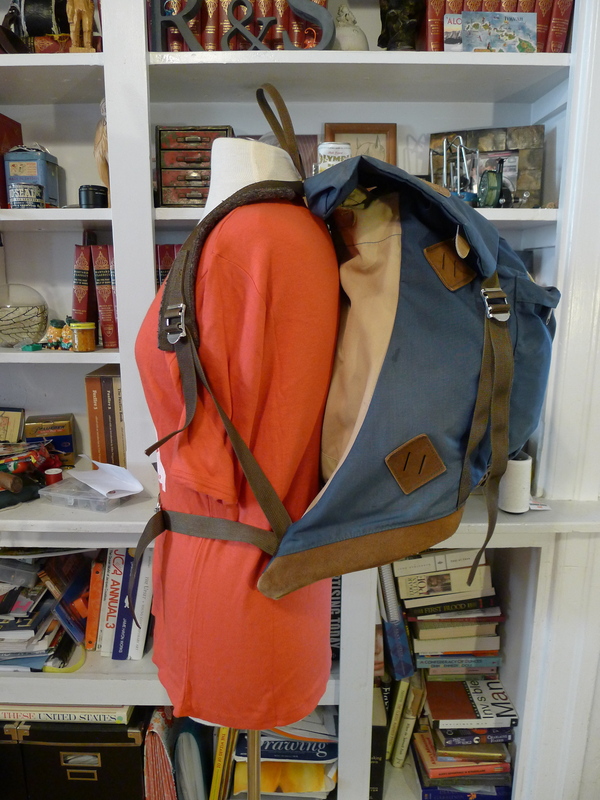 As well as two pockets at the top. 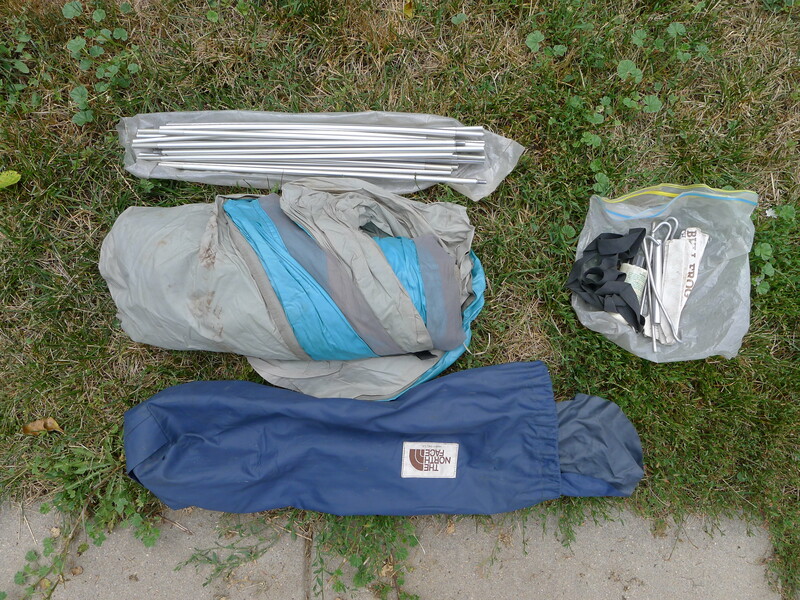 There is a metal rod running through the middle of the bag at the fold for support. 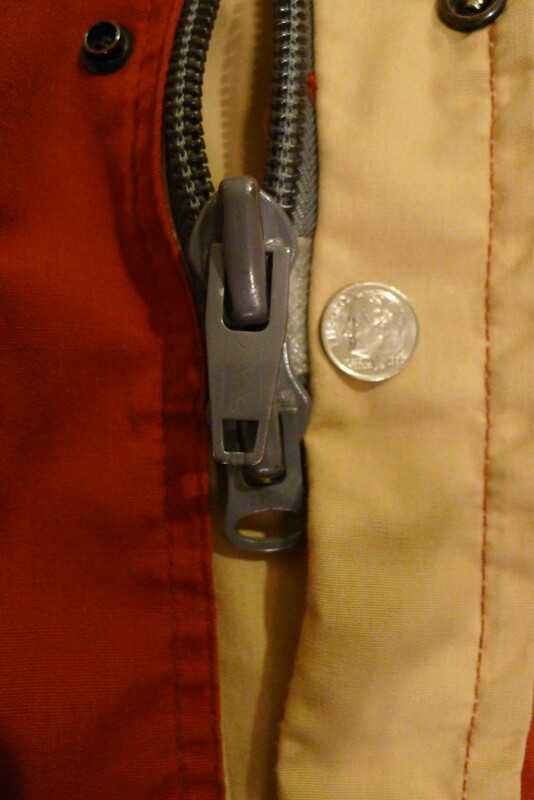 All zippers are heavy-duty YKK and snaps are The North Face branded and in perfect working condition. 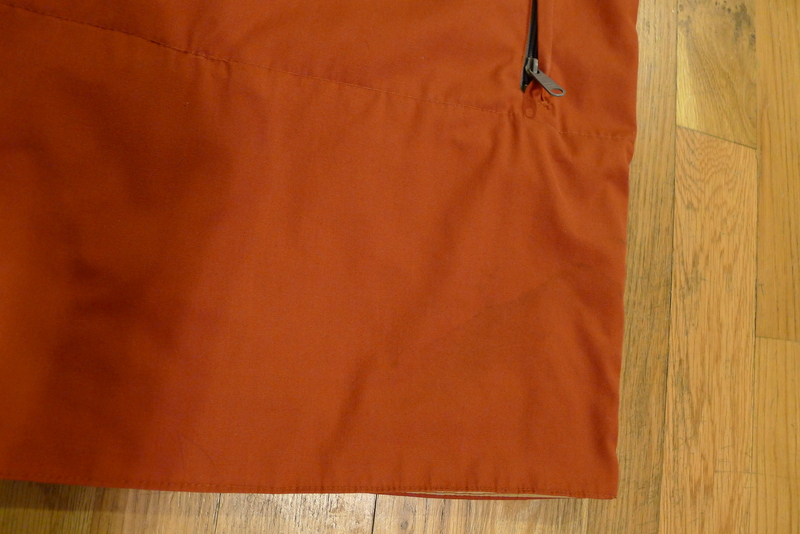 There are some black marks on the front and bottom of the bag from use ( see photos) other wise is clean and free from holes. 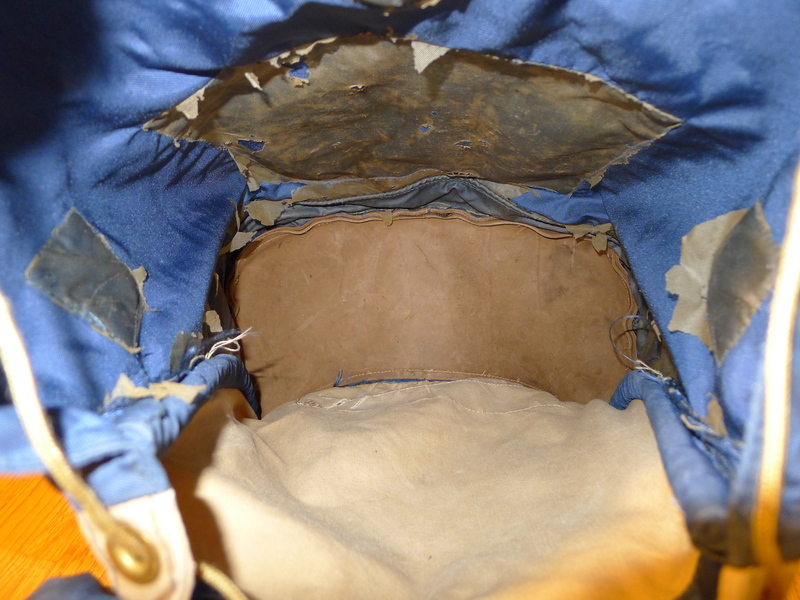 The insides are in near perfect condition.